Zombie movies are an American creation. First appeared in the 1930s, they are believed to depict Nazism and the horror of wars. In the 1960s, the arrival of big shopping malls in suburban America prompted Hollywood to use the genre to satirize the country’s rampant consumerism. The metaphor is apt. Americans, it seems, have traded beaches and parks for the indoor mall. Shoppers of all ages now spend every weekend loafing around at chain stores looking for things to buy, just like the undead scouring the streets for fresh meat. I like zombie movies for their social metaphors and the adrenaline rush. My very first was Return of the Living Dead in 1985, inspired by the black-and-white classic Night of the Living Dead. Since then, Return has spawned three sequels and many more remakes. While some of them are entertaining, these movies tend to be more funny than they are scary and, in some cases, more silly than they are funny. Then in 2002, a low budget British film called 28 Days Later came out of nowhere and spooked audiences around the world. Director Danny Boyle (Trainspotting, Slumdog Millionaire) reinvented the genre by giving it an almost documentary quality and amplifying it to an apocalyptic scale. Zombie movies would never be the same. 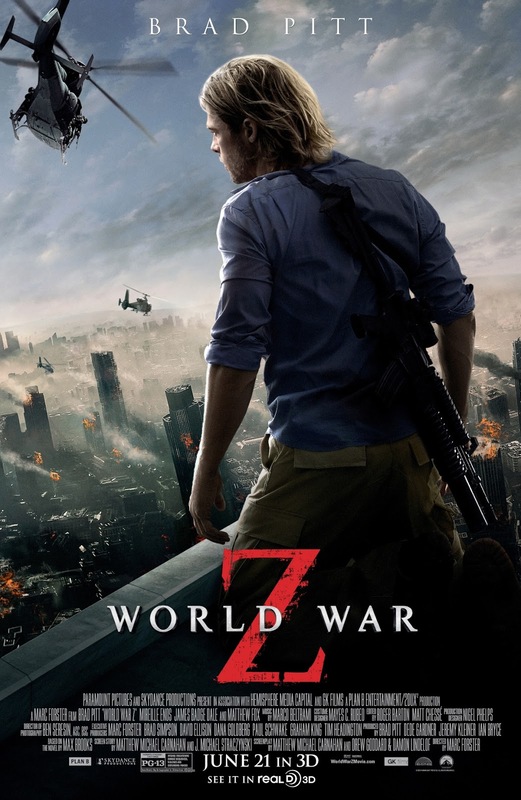 Based loosely on the eponymous novel by Max Brooks (Mel's son), World War Z pushes the genre boundaries one step further. It borrows the seriousness from 28 Days Later and combines it with the realism of Outbreak and Contagion. Those of us in Asia who have lived through mass hysterias, like the SARS outbreak in 2003 and the swine flu pandemic in 2009, will find this mutated strain of zombie horror all the more gripping. Much of the credit goes to German director Marc Forster, whose works include Monster Ball, Finding Neverland, The Kite Runner and Quantum of Solace. This diverse portfolio has given him the range to blend genres, making WWZ a competent cross-over in the horror, action-thriller and medical disaster categories. Many of the set pieces are nothing short of jaw-dropping. The storming of Jerusalem, for instance, is as much a cliff-hanger as it is a feast for the eyes. It bears all the hallmarks of a Christopher Nolan climax. 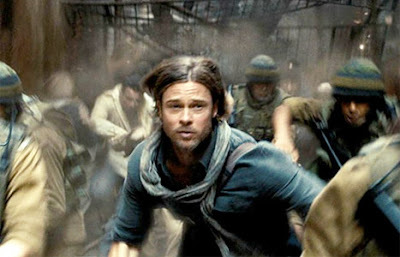 The production of WWZ has been as bumpy as the many plane rides in the movie. Numerous rewrites and reshoots have cost Paramount Pictures over US$200 million and delayed the film's opening by six months. All the revisions and post-production have compromised the movie's overall integrity and made it feel disjointed at times. The final act, which takes places at a research lab where the survivors come face-to-face with the flesh-eaters, is a predictable cat-and-mouse routine. It is a marked departure from the global apocalypse that Forster has so carefully crafted up to that point. Brad Pitt delivers a solid performance as the resourceful, seen-it-all UN investigator who is tasked to identify the source of the outbreak and save the world. He is Jason Bourne air-dropped into Zombieland. He plays the role with the right mix of bravado and empathy. Unlike Tom Cruise, he is not constantly posing for the camera. And unlike Robert Downey Jr., he leaves ample room for the supporting cast to do their bit. 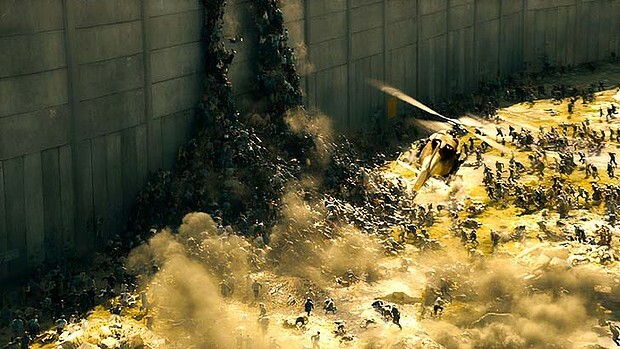 At the end of the day, WWZ is a zombie movie. So you should expect the obligatory asthmatic child and androgynous female warrior. You should also expect usual plot problems like the implausible (even by zombie movie standards) speed at which the venom acts on the bitten. The repeated cycle of suspense, climax and denouement causes viewer fatigue after the 90-minute mark. But those are minor flaws compared to the nail-biting, around-the-world journey that the movie will take you. Like a roaster coaster ride, WWZ doesn't have a dull moment and even if it leaves you slightly dizzy and mentally drained afterwards, you will be glad you did it. Pitt heeds his own advice: "Movement is life"
I enjoyed the movie but the book is literally a hundred times better. Let's make a deal here, Mr Ng. It is about time you start thinking of developing actual writing skills. A good first step in my humble opinion would be to stop your maniacal use of hyphens ('dashes' as you most likely call them). This might prove to be an excellent opportunity for you to develop something called a vocabulary. Have you heard of it? Vocabulary is something that comes in handy when you are trying express sentiments and convey opinions by means of the written word. It is especially valuable when writing for an adult audience that would like to read articles of a calibre just a tiny bit higher than a secondary school newspaper's. Unfortunately, there just comes a time in life when writing like you spoke to your 'bros' in form 6 won't do anymore. If you make sufficient progress in the vocabulary area, one fine day you will no longer have to constantly resort to awkward semi-expressions (and yes, that was a legitimate hyphen in case you were wondering) like "globe-trotter," "cross-over," "around-the-world [journey]," "cat-and-mouse [routine]," "seen-it-all," and so on. For your next writing assignment, you will have a quota of only ten hyphens. Deal? It's going to make money - because we are all suffering from Walking Dead withdrawal. 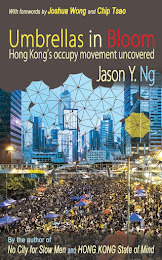 "Umbrellas in Bloom," the first book published in English to chronicle the occupy movement of 2014 and the last instalment of Jason Y. Ng's "Hong Kong Trilogy," is finally out! You can order it online from Blacksmith Books or Amazon. 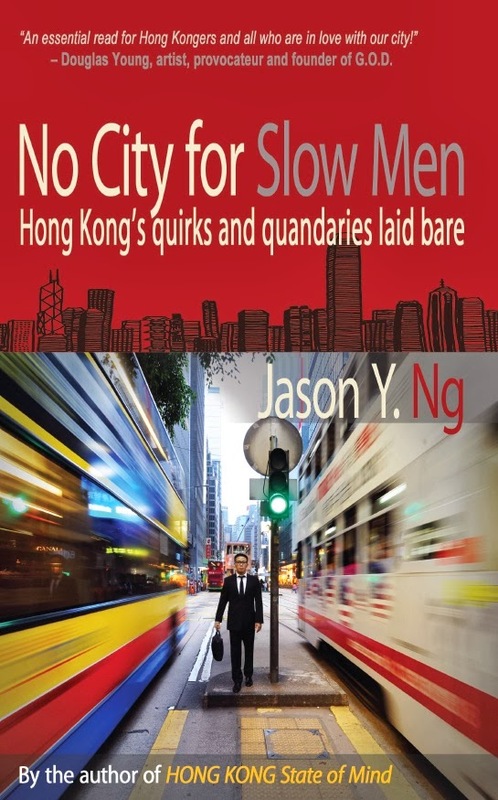 You can also purchase a paper copy from fine bookstores in Hong Kong. Meet the author at the official launch party on 6 April! Frustrated by biased restaurant and store reviews that proclaim "everything is awesome," Jason launched his second blog in 2012 to offer straight-to-the-point opinions on the city's leisure scene. The blog combines razor sharp observations and wry humor to assemble a catalog of honest reviews that readers can count on. 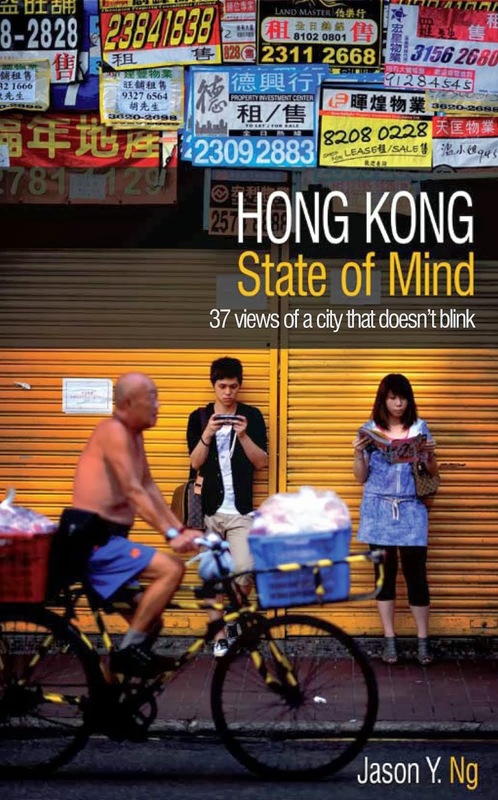 These reviews are reproduced in the online edition of the South China Morning Post. Copyright 2013 Jason Y. Ng - ALL RIGHTS RESERVED. Simple theme. Theme images by imacon. Powered by Blogger.